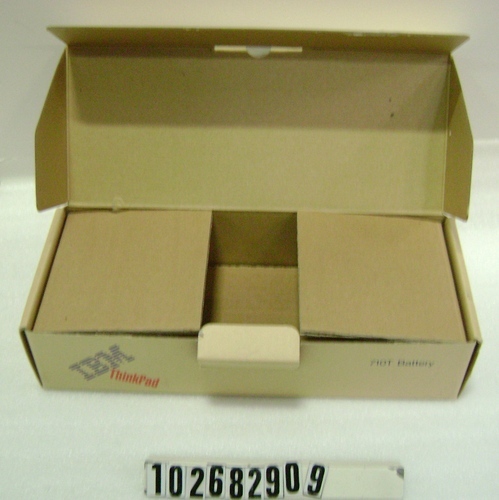 Other number 48G9665 ID number for battery, on side of box. Other number P48G9665 Number below barcode on side of box. 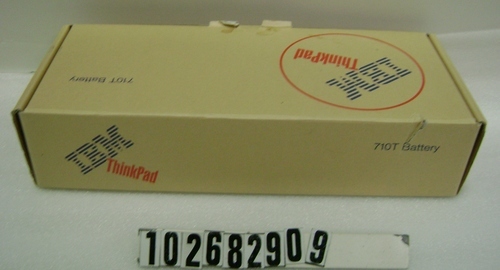 Brown cardboard box for 710T ThinkPad battery; original packaging for battery. 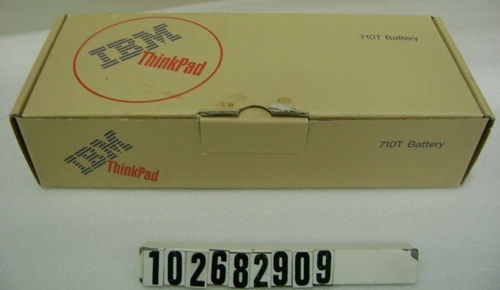 Top has "IBM ThinkPad" in red and blue lettering side red circle on left side. "710T Battery" in blue letter is at top right corner of lid. Front, back and left sides all read the same. 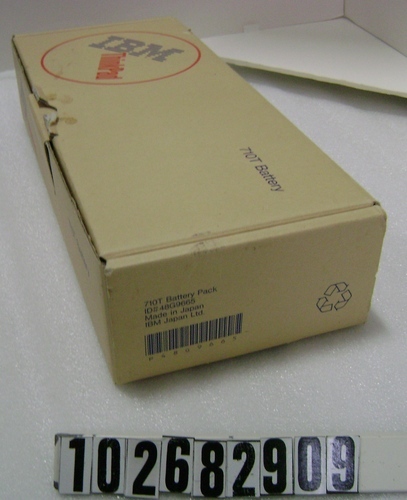 Right side reads "710T Battery, ID# 48G9665, Made in Japan, IBM Japan LTD." in blue lettering. Right side also has blue barcode and recyclable symbol.